Experiment in DOF - not a very successful experiment, but I'll post it anyway. 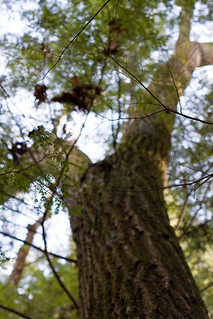 I was hoping to have more distinction between the in-focus tiny branches and the out-of-focus background. The foreground branches are too far away and the background is too dark for this to really work.